Evenly divide the batter into individual bowls. Add a few drops of food coloring to each bowl, and whisk until fully incorporated and batter is colored. Heat a medium (9 inch) non-stick pan over medium heat. Add a teaspoon of butter and swirl around pan to lightly coat. 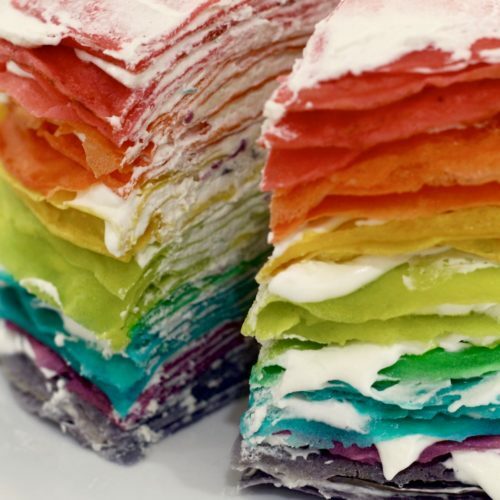 Once he butter is hot, add a ladle of batter (cook in batches of the same colored crepes) enough to lightly coat the bottom of the pan, swirling the skillet as you add the batter to evenly coat the bottom of the pan. cook about 30 seconds per side then flip using a thin edge spatula and cook another 30 seconds or until the second side is done. Transfer to plate and allow the layers to cool to room temperature before stacking them. 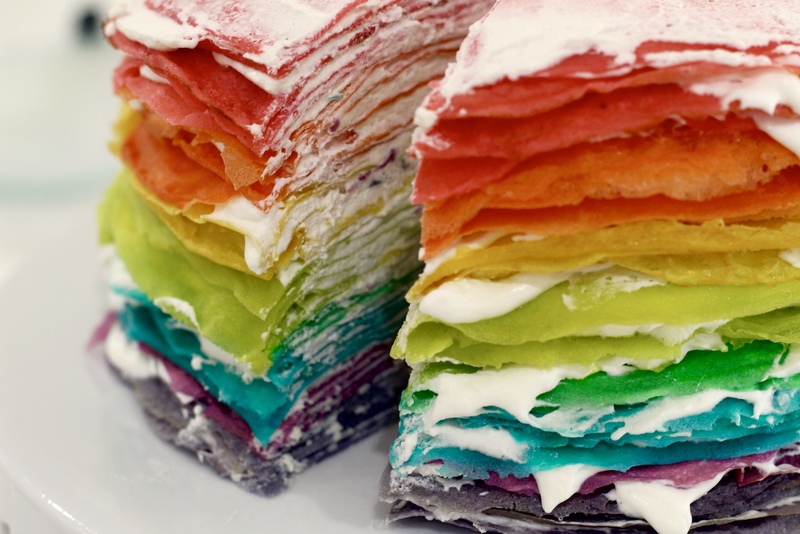 Stack crepes on top of each other, alternating colors and spreading creme between each layer. finish off with cream on top.